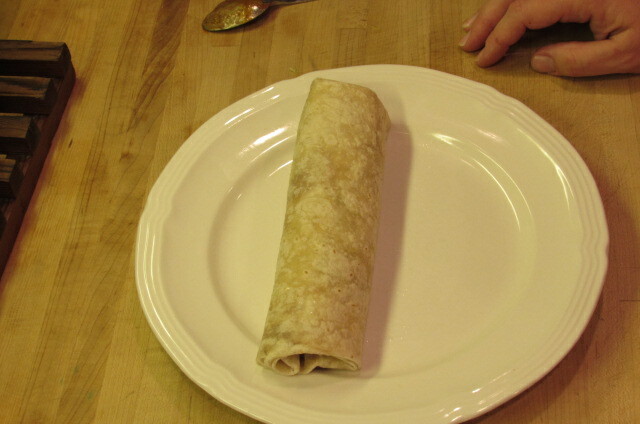 This dish gets made in my kitchen a lot. 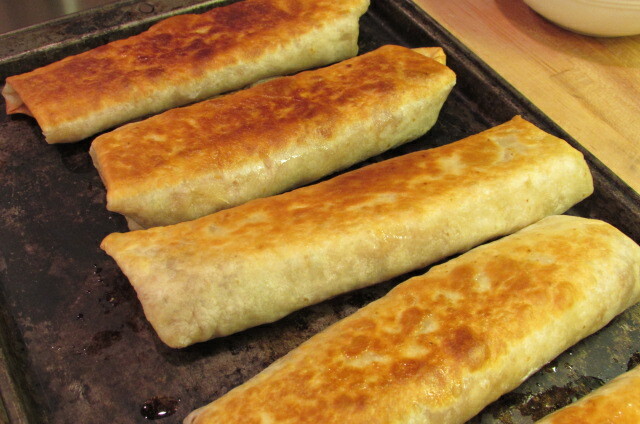 These simple burritos make a really satisfying and inexpensive lunch or dinner. 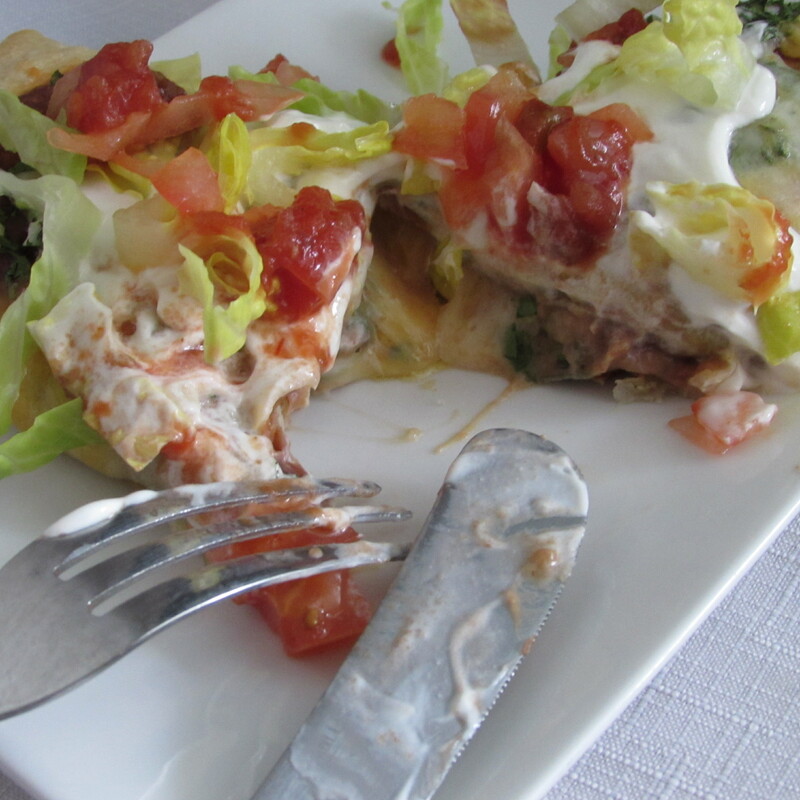 If you want to add extras to the filling or topping, it’s also a yummy way to repurpose and disguise leftovers – cooked meats, leftover rice, black olives, etc. 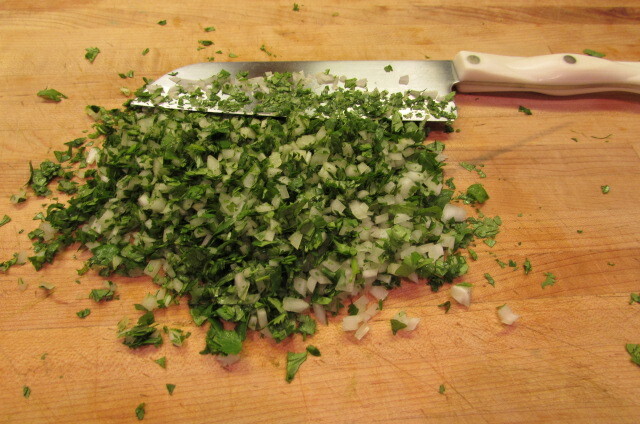 Combine cilantro and onion together in a small bowl and set aside. 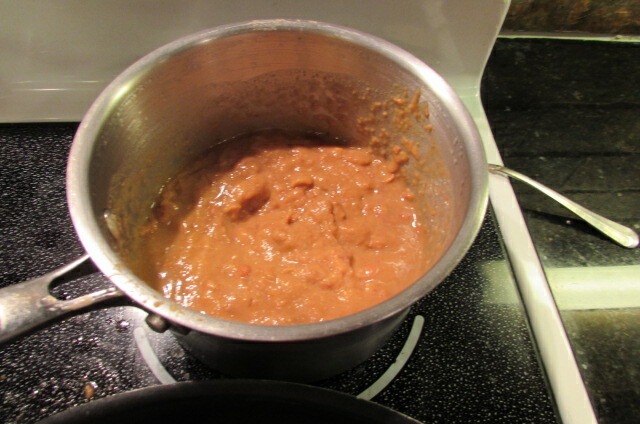 In a small saucepan on medium low heat, warm beans and water together, stirring occasionally, just until beans are hot and easily spoonable. 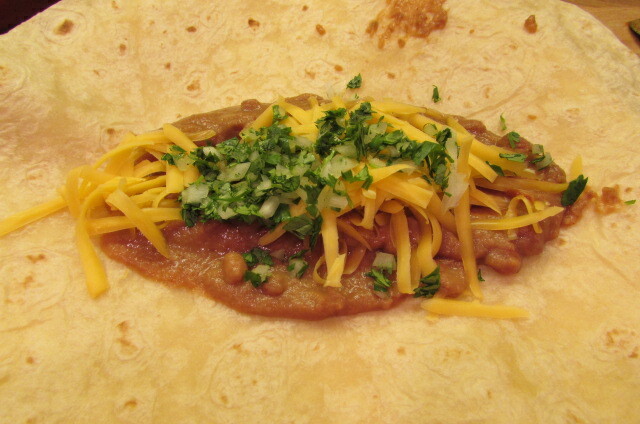 Once beans are warm, place a dollop in the center of a tortilla, spoon on a little enchilada sauce, sprinkle with the cilantro/onion mixture and top with cheese. 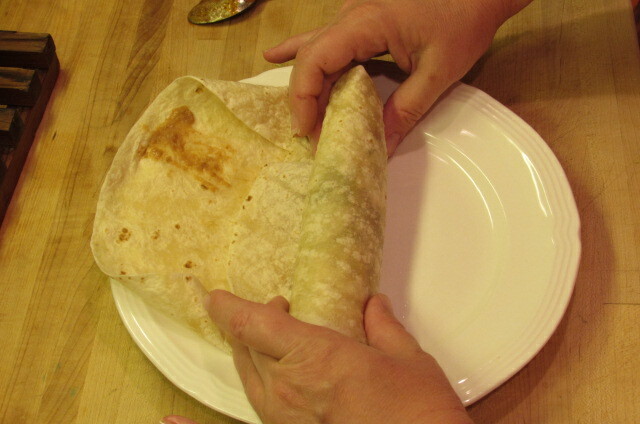 Fold tortilla in, sides first, then roll from the bottom up. 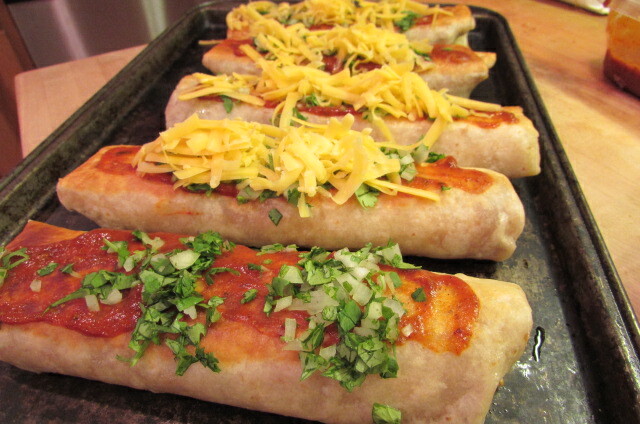 Place on a baking sheet and repeat until all burritos are prepared. 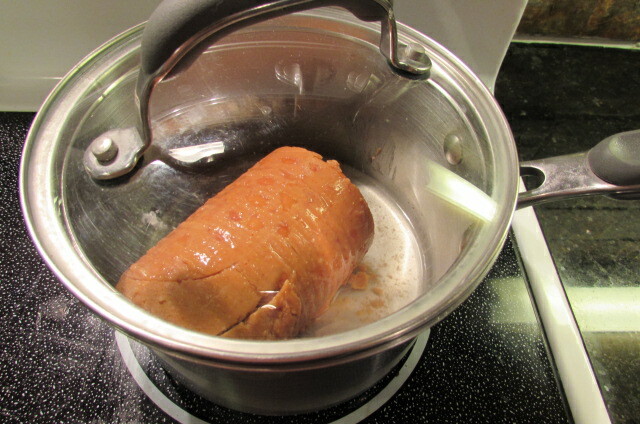 In a large skillet on medium heat, heat 3 tablespoons vegetable oil (I’m using corn). 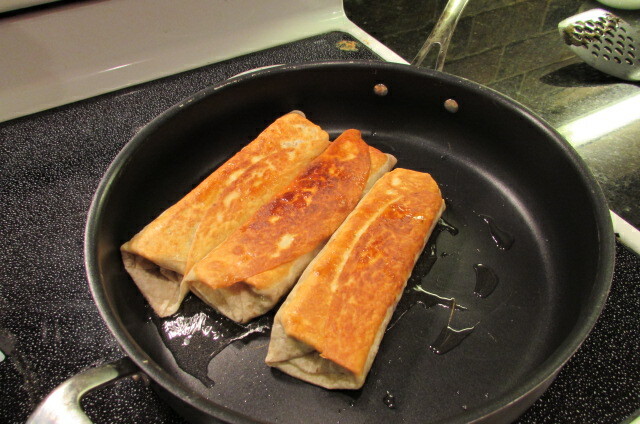 Place burritos in pan, seam side down and fry for around two minutes or just until golden. Flip and repeat. 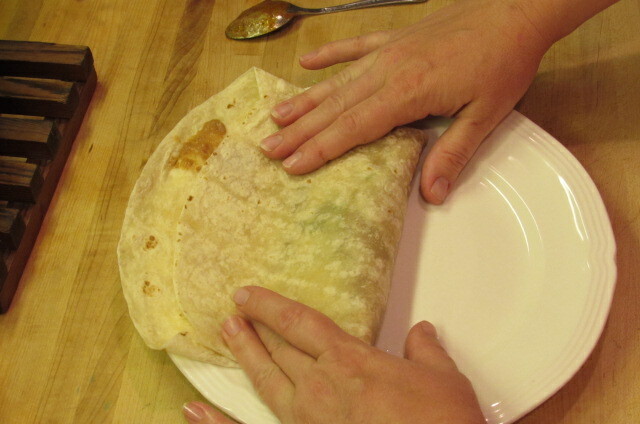 Once golden on both sides, transfer burritos back to baking sheet. 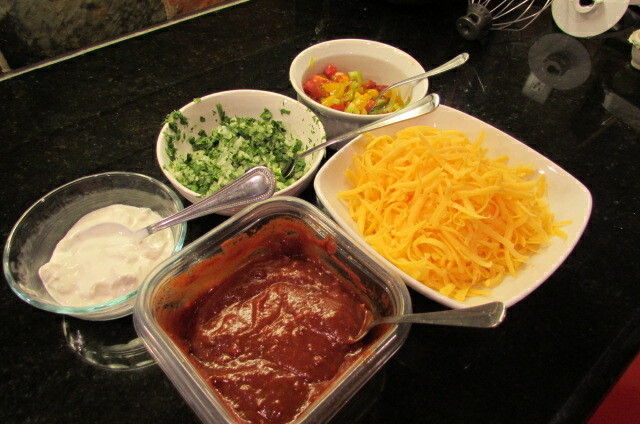 Spread a little enchilada sauce on each burrito, sprinkle with the cilantro/onion mixture and top with shredded cheese. 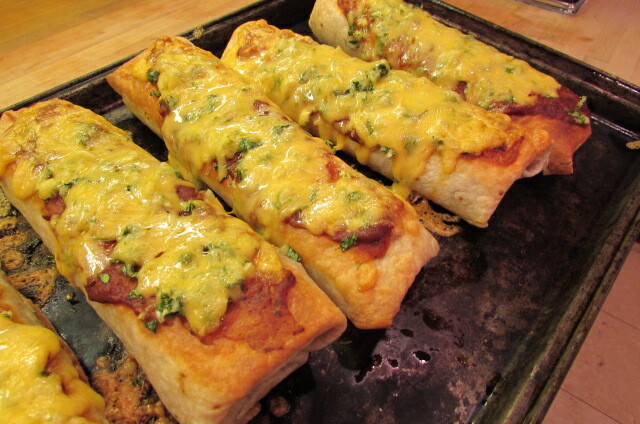 Place pan in oven and cook until cheese is melted and bubbly on top. 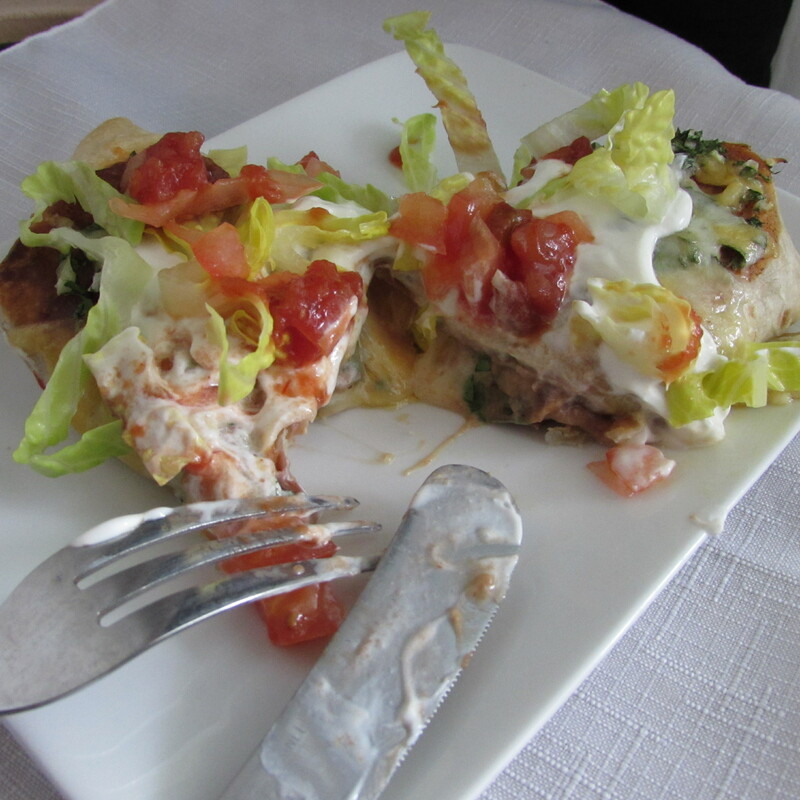 Top with sour cream, tomatoes and lettuce. 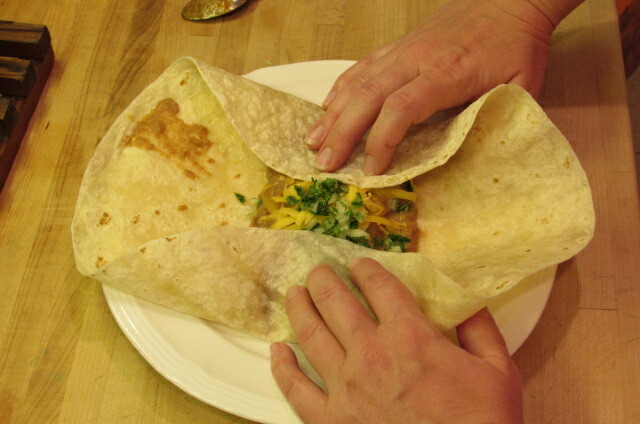 Make ahead tip: If you want to prepare these ahead of time then fry and bake later, cover the prepared burritos tightly with plastic wrap to prevent drying out and leave on counter. 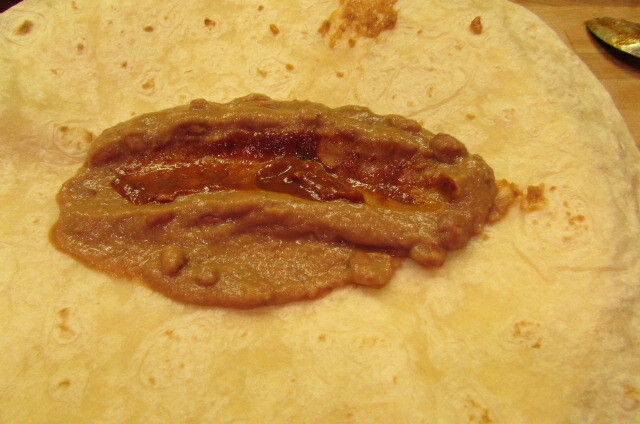 Tags: bean burrito recipe, enchilada style burritos, enchilada style fried burritos, food, fried burritos, make ahead dish, recipes, uses for leftover taco bell hot sauce, vegetarian Mexican recipes, with images. Bookmark the permalink.